Residents of Jalgaon resolve to lay foundation of Hindu Rashtra in Jalgaon ! 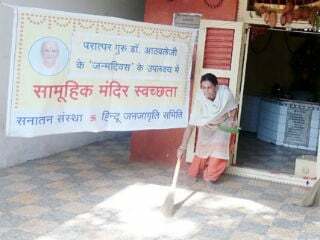 On the same land, where Bhim slew demon Bakasur, residents of Jalgaon made resolve to lay foundation of establishing Hindu Rashtra during this ‘Hindu Rashtra-jagruti sabha (sabha)’ by flying saffron flags. Slogans of ‘Jai Bhavani, Jai Shivaji’ and ‘Har Har Mahadev’ were raised in the presence of 17,000 Hindus. Blowing of conch to start the ‘sabha’ showed a glimpse of imminent struggle; recitation of ‘Veda-mantras’ resonated in the atmosphere as a symbol of ‘Brahma-shakti’; statue of Shiva Chhatrapati, the founder of ‘Hindavi Swarajya’ was garlanded seeking his blessings and clarion was sounded spreading the resonance till far off places and as if the participating ‘mawlas’ got ready to join the mission of establishing Hindu Rashtra ….! Jalgaon : Prabhu Shriram is the ‘Gram-devata’ of Jalgaon, who eliminated demons from Earth and set an example of ideal governance before the whole world ! Keeping such ideal of ‘Rama-rajya’ set by their worshipped Deity, residents of Jalgaon announced to lay foundation of Hindu Rashtra in Jalgaon on 13th January during ‘Hindu Rashtra-jagruti Sabha (sabha)’ held by Hindu Janajagruti Samiti (HJS) on Shivateertha ground. 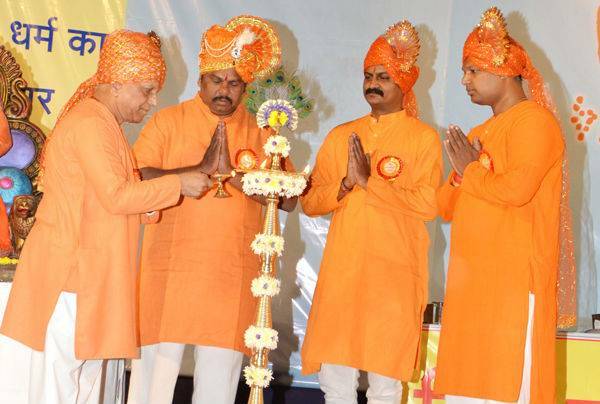 Advocate Virendra Ichalkaranjikar, national President of ‘Hindu Vidhidnya Parishad (HVP)’, Sanatan’s Sadguru Nandkumar Jadhav, MLA T Rajasingh of Telangana and Shri. Prashant Juvekar, District-Coordinator of HJS for Jalgaon shared the dais. Sou. Kshipra Juvekar presented report on various activities undertaken by HJS. Shri. Sumit Sagavekar and Kum. Rageshree Deshpande did compeering of the ‘sabha’. Progressive factions, rulers, police etc are trying to throttle Sanatan; but Bhagavan Shrikrushna is protecting us from their conspiracy. 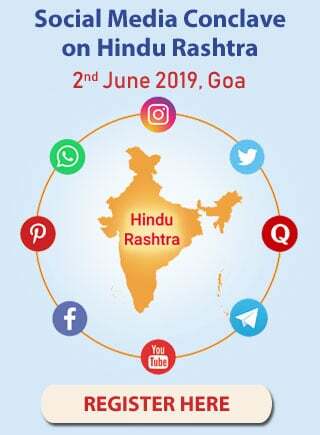 None of the seekers of Sanatan was scared even after such throttling, series of seekers’ arrests, news published by various newspapers and news channels about imposition of ban on Sanatan; nor did any seeker leave Sanatan. From where did they get such mental strength ? This mental strength was generated in them due to their spiritual practice and their abiding by Dharma. We have taken oath of establishing Hindu Rashtra and this is the beginning of establishing Hindu Rashtra. 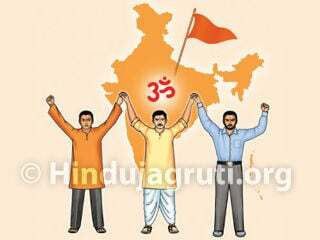 Hindu Rashtra is our birth right and we shall have it. Management of Jagannath Mandir of Odisha is not right, therefore, Supreme Court hears that case while expressing concern over the same. Supreme Court is deciding which water should be used for ‘abhishek’ on Mahadev’s ‘pindi’ at the temple in Ujjain. Supreme Court examines the issue of women’s visiting Sabarimala Mandir; but Supreme Court has no time for hearing of Ram-Mandir case since past 8 years. Supreme Court directs all States to demolish unauthorized temples on roads; but unauthorized mosques are not demolished. Hearing on that case is evaded. Devotees from Kerala have torn the verdict passed by Supreme Court in Sabarimala case. If Courts do not pay respect to Hindus’ faiths, such things are bound to happen everywhere. We do not want weak governance but we want such governing and judiciary system that will respect Hindus’ faiths and their seats of worship. RSS members are being killed in Kerala, women are allowed to enter Sabarimala Temple under police protection in Tamil Nadu; ‘Durgamata pujan’ and ‘Ram Mandir’ procession are opposed in Bengal. Hindus have been driven out of Kashmir. Hindus are divided in castes and parties; therefore, they are facing such situation. There is no alternative to establish undivided Hindu Rashtra if one has to live as a Hindu in this country. 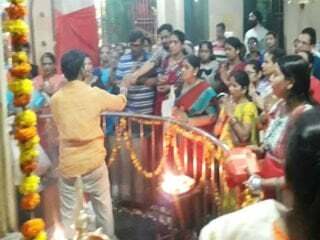 We have to wait for Court’s decision for Shriram Mandir which is a place of worship and faith of millions of Hindus. Did Babar take permission of Court before demolishing Ram Mandir ? Then, why should you wait for Supreme Court’s decision ? 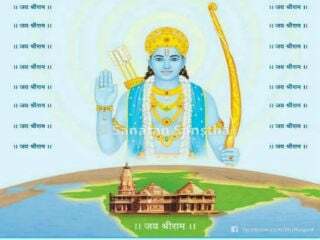 Shriram Mandir is not the issue taken up only by Shiv Sena and BJP but it is the wish of every Rama-devotee that Shriram Mandir should be constructed in Ayodhya. It should be done before 2019 elections. We are ‘mawlas’ of Shivaji Maharaj. Will we demand Hindu Rashtra or Islamic country ? 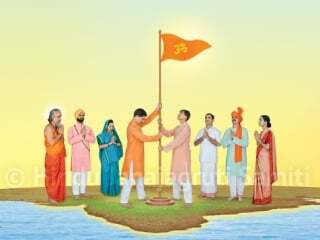 Shivaraya, who flew high saffron flag of ‘Hindavi Swaraj’ in Maharashtra 400 years ago, is our ideal. We shall establish Hindu Rashtra taking inspiration from him. That is the purpose of holding such ‘sabha’. People, who see only politics in everything, say, “This ‘sabha’ is held to prepare for Parliamentary elections.” Yes, it surely is preparation; but not of 2019; it is of 2023 ! We make calculations, not to gain power in Delhi but for undivided Hindu Rashtra. Chhatrapati Shivaraya took an oath of establishing Hindavi Swarajya at the age of 16 in Raireshwar Mandir, with handful of ‘mawlas’. Aurangzeb was ruling in Delhi at that time and felt that what would a 16 year old boy do; but it was the preparation of ‘Hindavi Swarajya’ which was established after 32 years. By defeating 5 powerful kings, Shivaraya established ‘Hindavi Swarajya’. 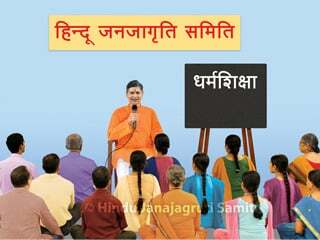 We shall establish undivided Hindu Rashtra, keeping Shivaraya as our ideal. Telecast of this ‘sabha’ was shown through ‘Facebook live’ and it reached 2, 44,000 people. 1, 44, 000 people viewed this ‘sabha’ and 1700 people shared it with others; while 679 posted their opinion and 1100 ‘liked’ it.